A South Korean court has ruled the government has to pay compensation for the victims of the Sewol ferry disaster. It is the first time a court has acknowledged the state is liable for the deaths. The Sewol sank in 2014 killing 304 people, most of them school children. Some relatives of the victims had turned down an earlier offer of compensation, insisting the state's responsibility had to be proven. The court awarded 200m won ($177,000, £135,000) in compensation for each passenger who died. Parents of the students who lost their lives in the tragedy will receive a further 40 million won. Siblings and grandparents are to get smaller sums in compensation. Investigators said the vessel was structurally unsound, overloaded and travelling too fast. 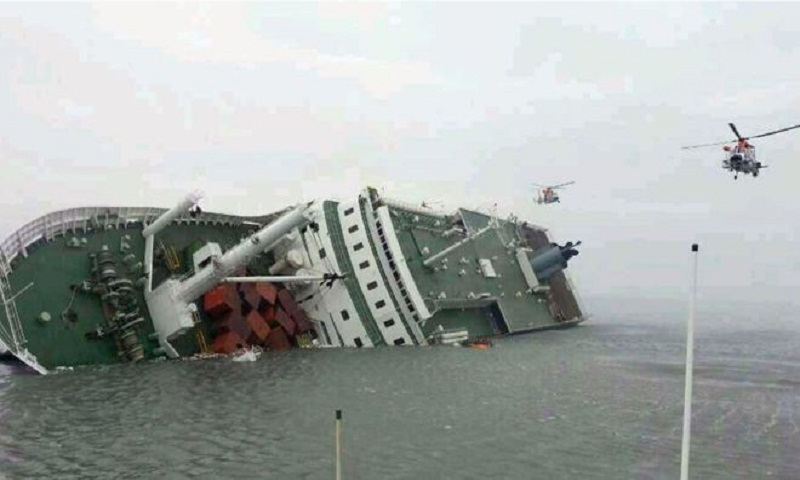 It capsized while crossing to the island of Jeju on 16 April 2014. In 2015, the government offered to pay $380,000 (£256.000; €353,000) in compensation for each of the nearly 250 students who died. Many of the families rejected that offer as it would have meant an end to the investigations into the case. The tragedy shocked the country, with much of the public's anger directed at the government over poor safety standards and rescue work. The boat's captain has been jailed for 36 years for gross negligence. Authorities raised the Sewol in March 2017 - and came under fire again when they incorrectly declared they had found human remains. At least three crew members died trying to evacuate passengers.